If you are looking for dumpster rentals near Atlanta, then your search can stop with our company. Our roll off rentals are low in pricing and high in quality and value. This provides a waste management solution where it counts most: your bank account. Call us today. 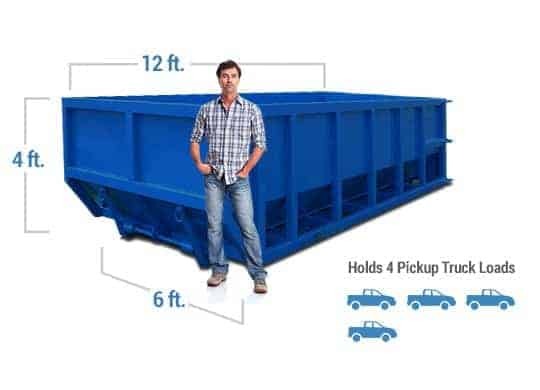 We will find the perfect container size for your project and set you up for your debris removal project. Our Norcross rental service provides low flat rates with no hidden fees. 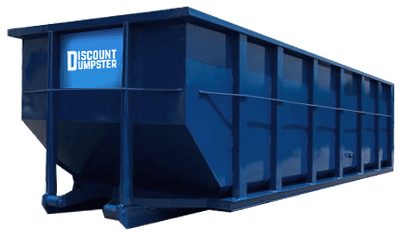 Discount Dumpster has many different container sizes to choose from, and our customer service team is happy to provide you with the right bin size for your project. We are available Monday through Friday to answer any questions or concerns you may have. Able to deliver to your private residence or commercial business. The 10 yard is ideal for smaller projects such as clearing out the attic or garage. The size of the bin allows it to fit just about anywhere with ease. Once you clear out the garage and attic, you can dispose of small amounts of home and construction clutter. Great for home remodeling and full room renovations. The 15 yard is useful for other small-scale projects such as landscaping. The small size makes disposal of debris easy for any customer. Customers usually order our 20 yard for roofing or remodeling one to three full rooms. The bin can easily dispose of light construction debris such as sheet rock and wallpaper. The bin is also useful for small scale demolitions. The 30 yard is very common for customers that have large scale construction projects. These include full home renovations and the remodeling of several rooms. The bin is ideal for large scale clean outs, as it can easily accommodate construction and demolition debris. Our 40 yard container is great for all building renovations and demolitions. 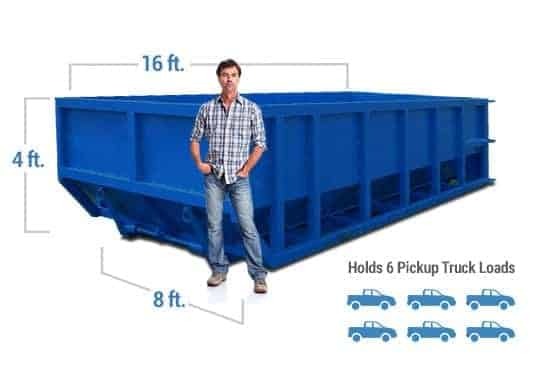 The bin allows you to dispose of several tons of waste at one time, making it perfect for contractors with large-scale construction projects. Our company has worked with several homeowners and businesses on just about every cleanup project that requires a dumpster rental. Even though your needs may seem out of the ordinary personally, our company is confident we have the waste management solution for you. If you have excess clutter and debris around your home or business don’t hesitate to call us for your next project. Finding the right container for your project can be a drag, especially when it comes to pricing, customer service, and bin sizes. Discount Dumpster makes the process easy for the customer. Our flat rate pricing and quality service provides a solution to the hassle of selecting the right container. It doesn’t matter if you are working on remodeling one room or demolishing an entire building, our company is here to help you. Don’t worry about getting the run around when you rent with Discount Dumpster. There are no hidden fees or rates attached to your account. As such, we never give you a surcharge for fuel, transportation, or disposal. All pricing and services are straightforward and hassle free. Call us today and we will get you started.